Hania Rani is a pianist, composer and musician who splits her life between Warsaw, where she makes her home, and Berlin where she studied and often works. She has written for strings, piano, voice and electronics and has collaborated with the likes of Christian Löffler, Dobrawa Czocher and Hior Chronik, and released an album with her Polish group tęskno last year. She has performed at some of the most prestigious venues in Europe - from the National Philharmony in Warsaw, to Funkhaus in Berlin, to The Roundhouse in London (where she made her debut at the Gondwana 10thanniversary festival last October) and at festivals such as Open'er, Scope Festival and Eurosonic. Her compositions for solo piano were born out of a fascination with the piano as an instrument, and her desire to interpret its sound and harmonic possibilities in their entirety and in her own way. "I think I am the same as an artist and as a person. Music is my way of communication and I see the art, the music as a whole thing, with no borders, divisions, or even genres." Esja is her debut solo album and for Rani it is her first, real, personal statement as an artist. "No hiding behind the "collaborations" or "projects" anymore. For the very first time, finally - just me, as I am". 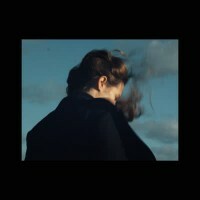 Recorded at Rani's apartment in Warsaw (the piano room has a beautiful reverb and the space has become part art studio and part sound laboratory for Rani) and at her friend Bergur Þórisson'sstudio in Reykjavik, Esja is a series of beautiful melodic vignettes. Sensual, sensitive, rhythmic, atmospheric, free but harmonious, beguiling and hypnotic, collectively they project a sense of unlimited space and time.